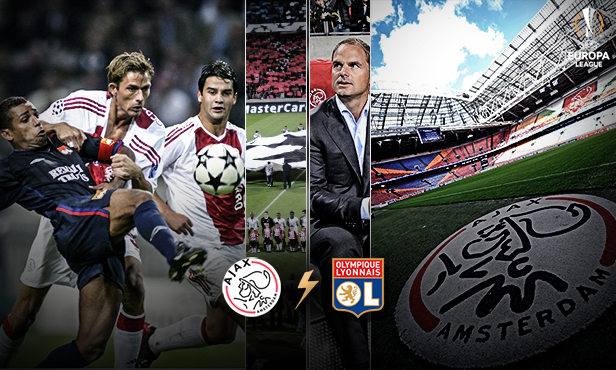 For the seventh time in their history, OL find themselves in a two-leg tie against a Dutch club. And even if the lads have never beaten Ajax, these ties have thus far been mostly pleasing fixtures. This is the number of clashes against Dutch clubs since the first, which took place in the 2000-01 season of the Champions League. The ledger is mostly in OL’s favour, with six wins, four draws and only two losses. OL have included a few offensive drubbings in these meetings, as their tally of 23 goals scored and only nine conceded attests. In four meetings against Ajax, OL have managed to score only once. That goal came in the first meeting between the sides, in a Champions League group match played in Amsterdam on 1 September 2002. That night, against a Dutch team which featured a certain Zlatan Ibrahimovic, Sonny Anderson scored an exceptional goal. CAnother reason that that goal was nice was that Flo Laville supplied me the pass, which was unusual for him, if you remember the former OL striker. I controlled and saw the two defenders behind me and I got a glimpse of the goalkeeper off his line. I tried to lob him and it came off. It’s a nice memory, even if we lost 2-1. Sonnygoal would’ve scored another in the return leg at the Gerland, but his header was unfairly ruled out. Four matches, no wins, two draws and two losses. The ledger doesn’t look that good at a glance when facing the most decorated club in the Netherlands (33 league titles, four Champions League, 1 Cup Winners Cup and 1 Europa League) because OL has failed to outdo Ajax in these double meetings. The first of these was in the 2002-2003 season in the two group D matches of the Champions League. Having gone down 2-1 in the first matchday at the Ajax Arena via a Zlatan Ibrahimovic double and then beaten at the Gerland in the return match with two goals from Pienaar and Van der Vaart (0-2), OL finally took third place in the group behind Inter Milan and… Ajax Amsterdam, who qualified despite having the same number of points as OL. In the 2011-2012 season, without the win but OL qualified right at the end. The lads took their revenge despite the two matches ending 0-0. Lyon were assured second place in Group D behind Real Madrid and ahead of Ajax thanks to a superior goal difference (eight points for both teams). This is the fourth time that Jean-Michel Aulas’s club has been going to play for direct qualification against a Dutch club (the other meetings were in the group stage of the Champions League). OL have so far done pretty well except for their traumatic elimination in the quarter final of the Champions League in 2005 against PSV Eindhoven. After two drawn matches, Juninho and his teammates went down in a penalty shoot out. OL took their revenge. First of all by correcting the same PSV Eindhoven the next year in the round of 16 of the Champions League (1-0 and 4-0), then, more recently, in overcoming AZ Alkmaar this season in the round of 32 of the Europa League with two convincing wins (4-1 and 7-1).